Item # 311009 Stash Points: 9,495 (?) This is the number of points you get in The Zumiez Stash for purchasing this item. Stash points are redeemable for exclusive rewards only available to Zumiez Stash members. To redeem your points check out the rewards catalog on thestash.zumiez.com. Whether you're just stepping on a board, or stepping up your boarding, the DGK Flavor 8.0" Skateboard Complete is an ideal option. 52mm DGK brand wheels provide excellent acceleration while the abec 5 bearings inside of them maintain speed so you can cruise more and push less. 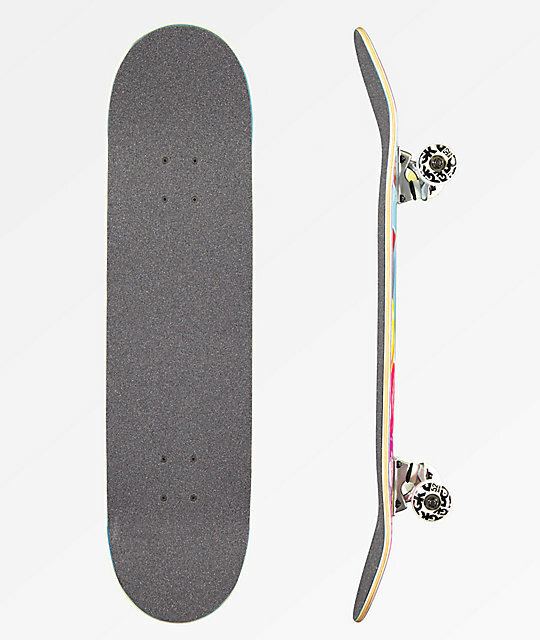 Mild concave throughout helps aid with flip tricks while still providing a stable landing surface and small wheel wells leave space for riding looser trucks or bigger wheels. 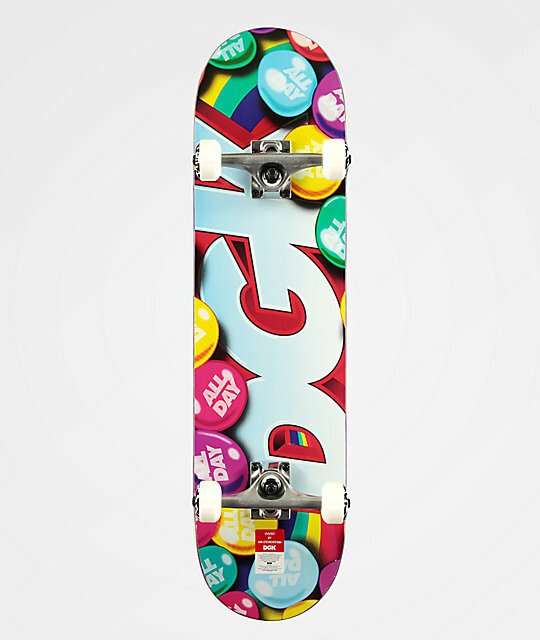 Flavor 8.0" Skateboard Complete by DGK. Slight concave, small wheel wells.